Late last month, World of Warcraft creator Blizzard asked the U.S. District Court for the District of Arizona for a permanent injunction which would functionally shut down MMO Glider, a “bot” program that lets people play World of Warcraft unattended. In addition, Blizzard asked the court for the relatively unconventional relief of an order prohibiting Glider’s creator MDY from making the source code for MMO Glider software available to the public, and prohibiting MDY from helping people develop other World of Warcraft automation software. The parties have both filed followup briefing. A lot of this amounts to legal wrangling that is important to the participants but not all that compelling to observers. There are some highlights, though. Blizzard asks the Court to enjoin MDY from “developing or maintaining Glider.” The Court’s Order found MDY liable for acts pertaining to Glider’s use with World of Warcraft only. Because Blizzard’s EULA and TOU do not prohibit MDY from developing or maintaining Glider on MDY’s computers if Glider does not interact with World of Warcraft, Blizzard’s request is outside the scope the Court’s Order. Even if the Court enjoins MDY from selling, marketing or remotely activating Glider, enjoining MDY from developing or maintaining Glider on MDY’s own computers is cumulative and could not possibly violate Blizzard’s EULA or TOU. Thus, Blizzard’s proposed restriction does not narrowly address MDY’s liability under the Court’s July 14 Order. And the Court should deny Blizzard’s request to enjoin MDY from developing or maintaining Glider. Blizzard further argues that it is concerned MDY may release its Glider software to third parties who may distribute Glider as a way to circumvent the Court’s judgment. Blizzard cites statements Glider users made on MDY’s message boards encouraging MDY to release its software as a way “flout the efficacy of the judgment.” Blizzard’s argument is speculative and completely without merit. Certainly, MDY has no control over what its customers may say on its message boards, but Blizzard is ridiculous to imply that message board posters’ suggestions would cause MDY to give up its most important asset. Simply stated, in the past MDY never threatened or implied that it would release its Glider software to third parties to harm Blizzard. MDY has made it clear to Blizzard that it will likely appeal the Court’s July 14 ruling. If MDY released Glider to the public as open source software, MDY’s only capital asset would become worthless and cause MDY to shut down its business.48 Releasing Glider to the public would prevent MDY from generating income if this court’s ruling is reversed. MDY, however, could conceivably want to sell Glider or its company to a third party. The Court’s July 14 order did not hold that Glider infringes Blizzard’s copyright or causes a breach of Blizzard’s contracts – only Glider’s use with World of Warcraft created liability. 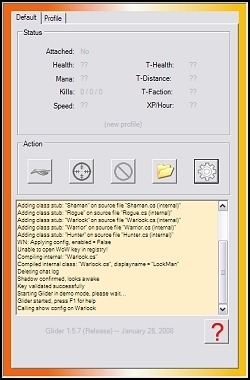 Third parties can use Glider’s underlying technology to develop other software, which is wholly unrelated to World of Warcraft. If the Court enjoins MDY from selling Glider under all circumstances, the injunction would be an overbroad view of the Court’s order. Neither Donnelly nor MDY has offered any testimony that Glider’s “underlying technology” is useful in combination with any other product, particularly as Donnelly has spent three years adapting Glider to the unique detection mechanisms employed by Blizzard specifically to combat Glider. On the other hand, MDY could, in the absence of injunctive relief, sell or give Glider to a third party or third parties whose purpose would be to continue enabling Glider use with WoW, requiring Blizzard to investigate and bring suits against those parties to enforce the rights already established here. The value of Donnelly’s “substantial asset” is far higher to entities that would seek to employ it in conjunction with WoW than to individuals who might hypothetically attempt to use it with some other product. Accordingly, the evidence of record suggests that any distribution of the Glider code would contribute to infringement, and thus should be enjoined. MDY also argues that Donnelly should be able to advise others in their development of their own bots.9 Here again, Donnelly offers no evidence of how his Glider knowledge would be useful for anything other than enabling bot usage in WoW without detection. Of course, that knowledge would be valuable to other entities seeking to develop and maintain bots that operate in conjunction with WoW in violation of the TOU (which precludes all bots). Again, Donnelly should not be granted the opportunity to continue to damage Blizzard’s interests by monetizing the knowledge he has gained in developing his infringing product and exploiting Blizzard. MDY originally brought this action seeking an order that it did not violate Blizzard’s copyright by selling MMO Glider, but instead, the court ruled in Blizzard’s favor before the case could get to a jury. For the full background of this suit, see our complete coverage of MDY v. Blizzard. Given the speed with which the court here ruled on motions for summary judgment, I would not be surprised to see a quick ruling on this motion.